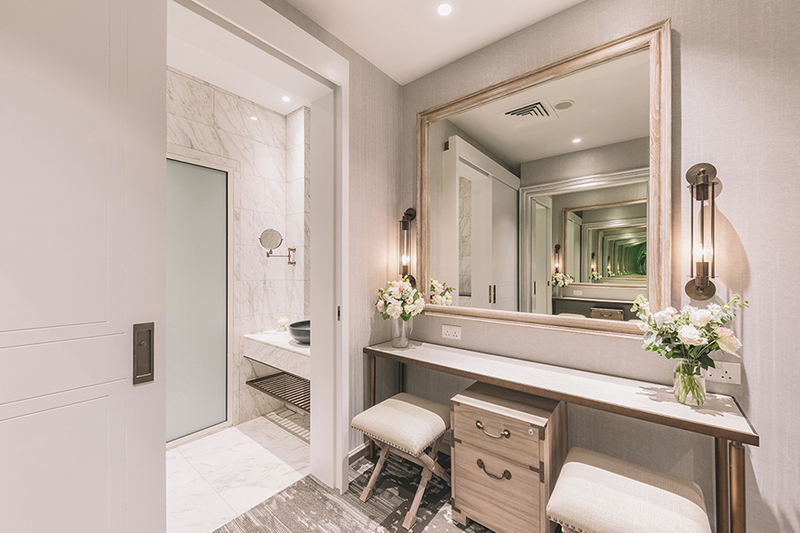 The Outpost Hotel, a member of Small Luxury Hotels of The World, officially opens in July 2019. 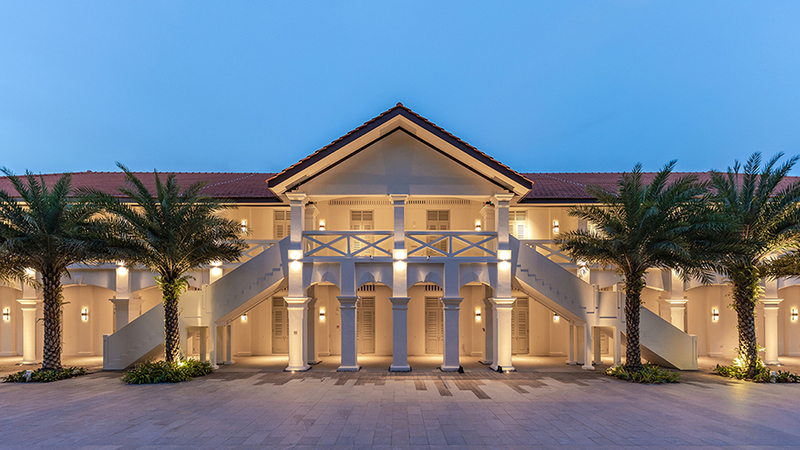 It is a 193-room establishment perched on a hilltop overlooking the Singapore Strait. 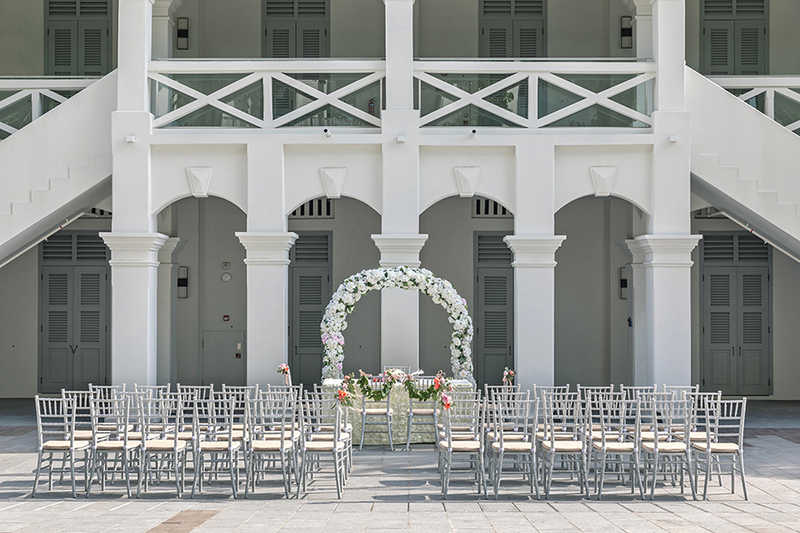 Here, modern accents are skillfully paired with colonial touches, creating a beautiful blend of old meets new. 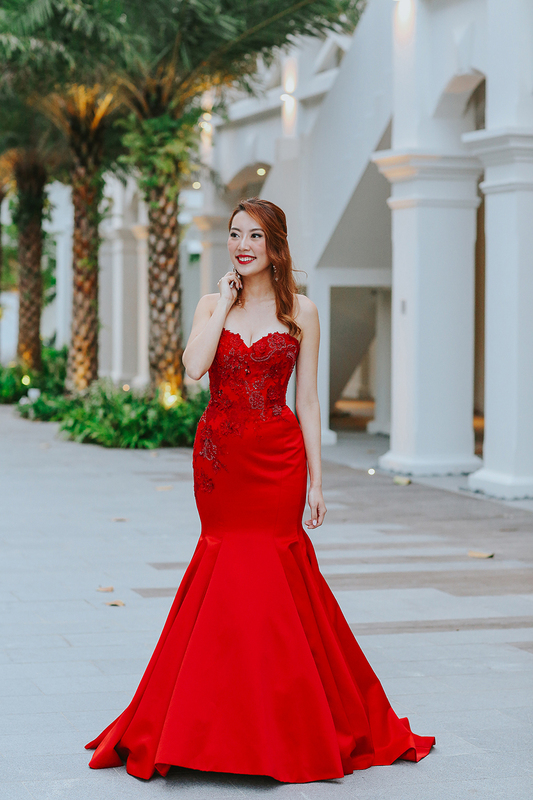 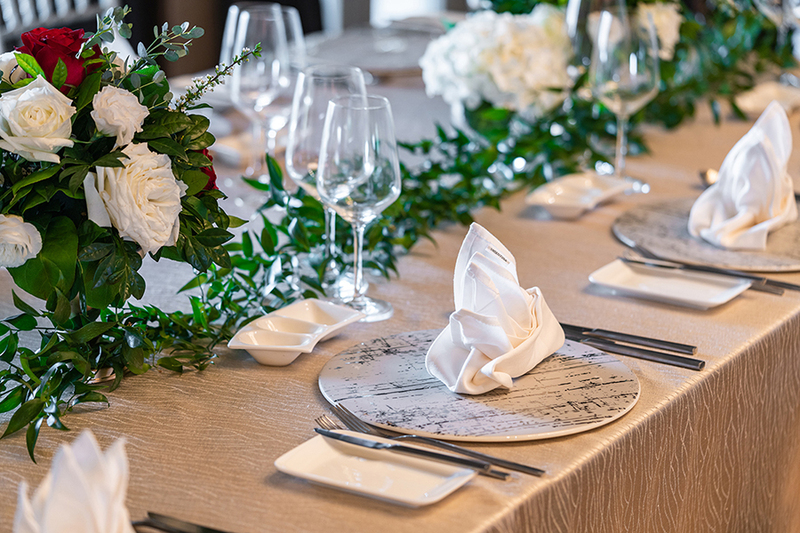 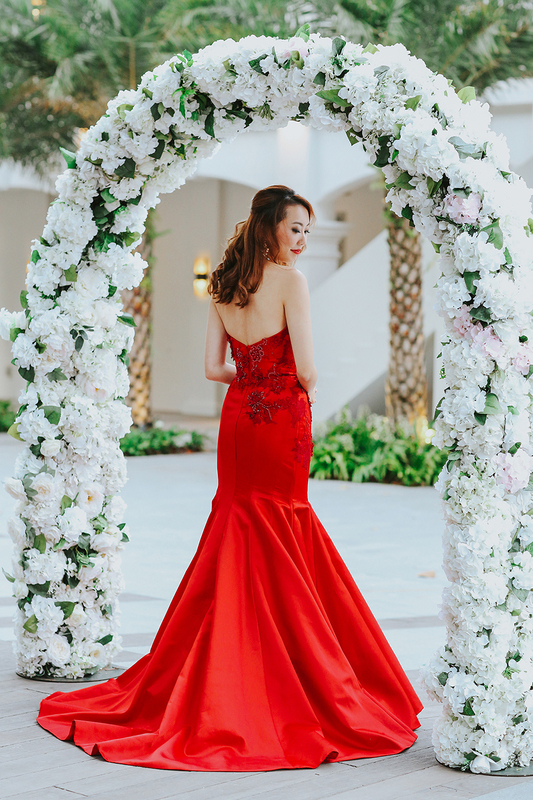 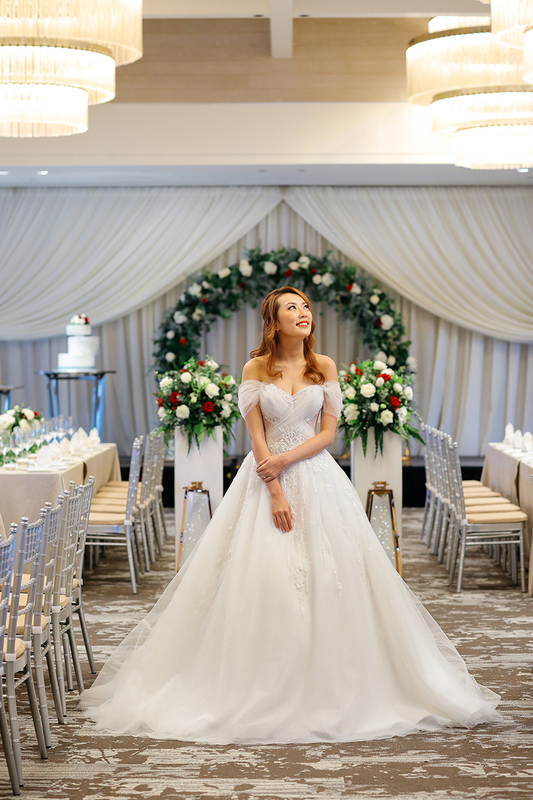 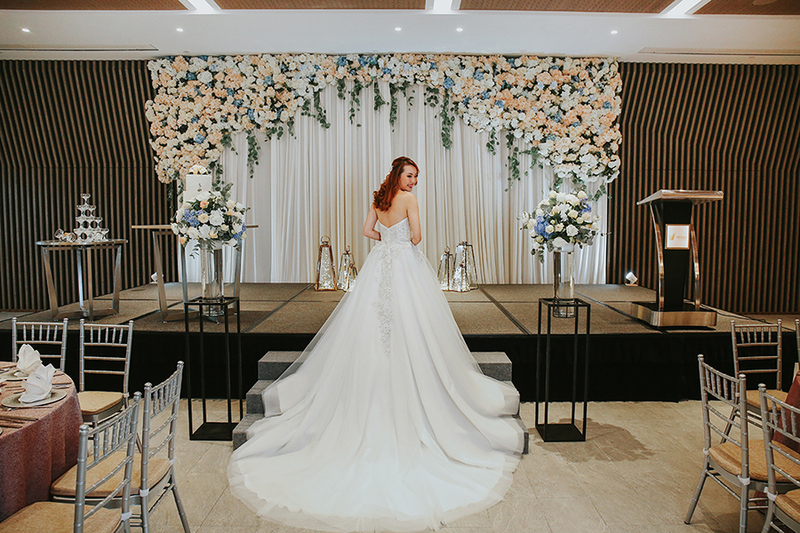 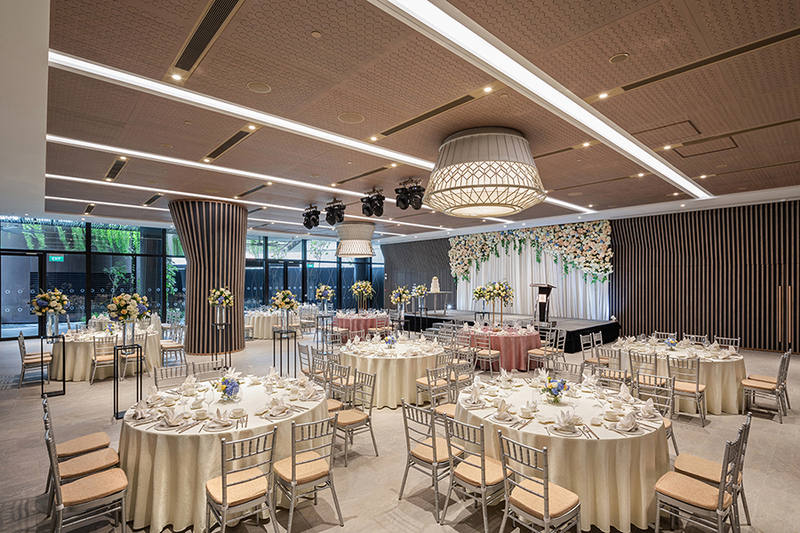 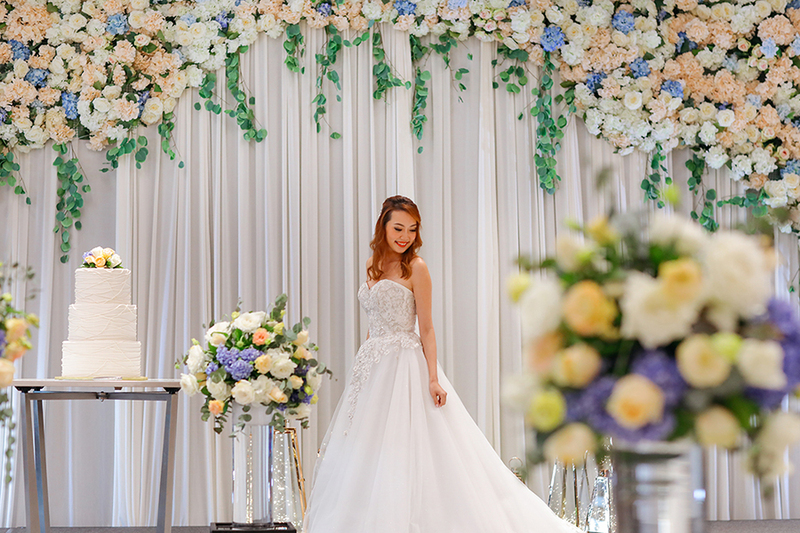 Besides its proximity to top attractions (it’s an eight-minute walk to Universal Studios Singapore and a 12-minute taxi ride to Gardens by the Bay), The Outpost Hotel also offers a variety of new wedding venues that couples will be enamoured with. 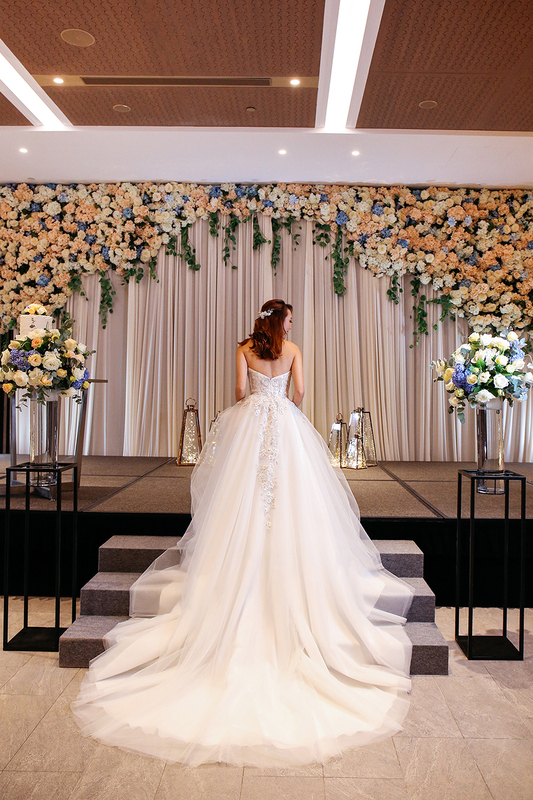 The venues will be revealed at their upcoming wedding show on 12 May, Sunday, from 2pm to 7pm. 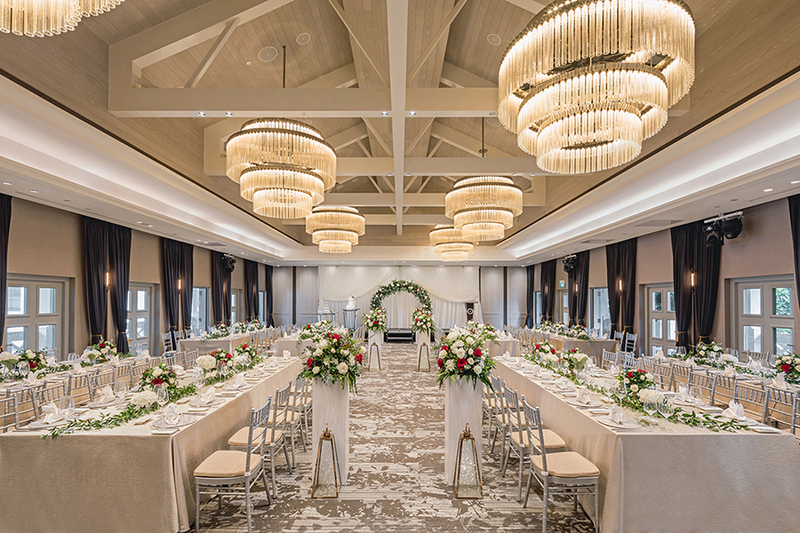 Keep scrolling for a peek inside The Outpost Hotel and find out more details about each wedding venue below! 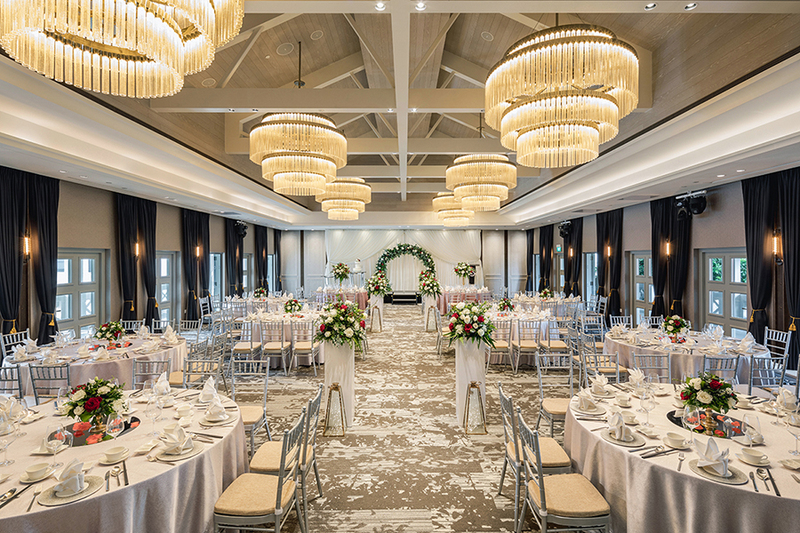 For a wedding that exudes quiet sophistication with a majestic colonial flair, Revelry Hall at The Outpost Hotel is your ideal venue choice. 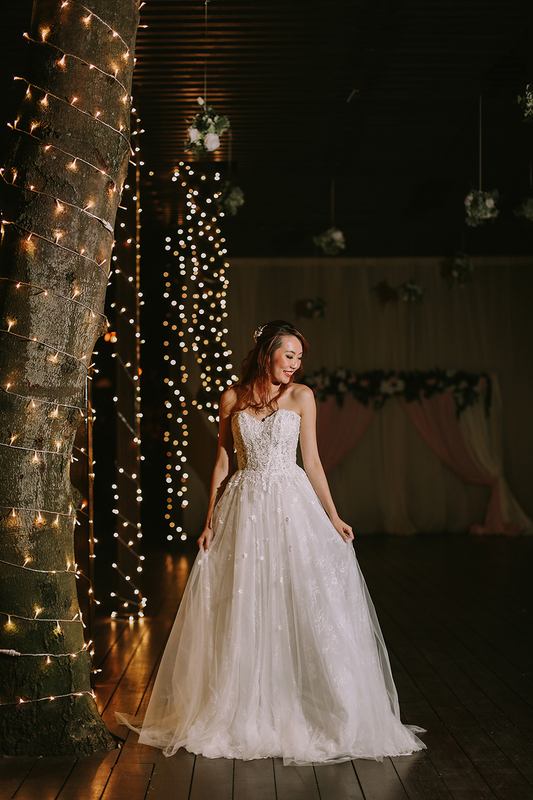 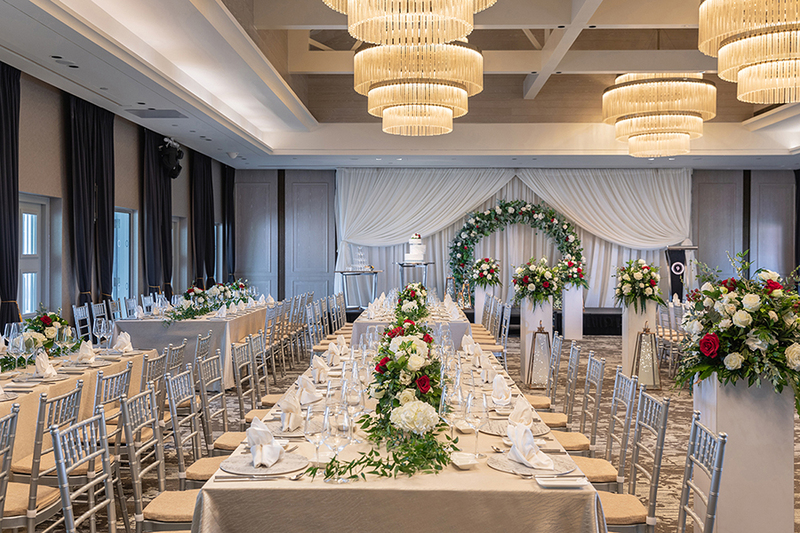 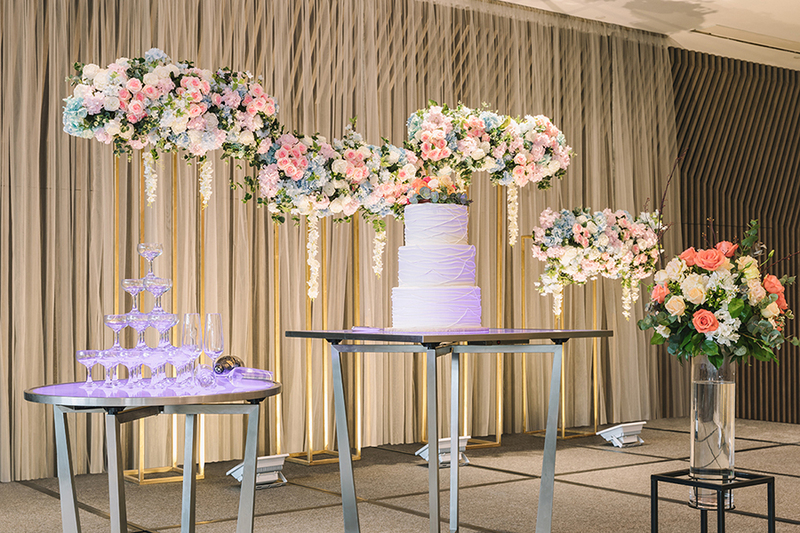 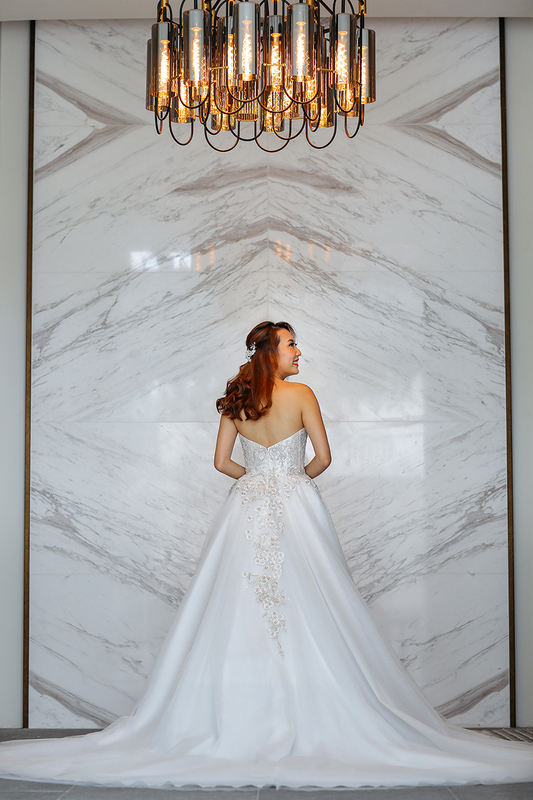 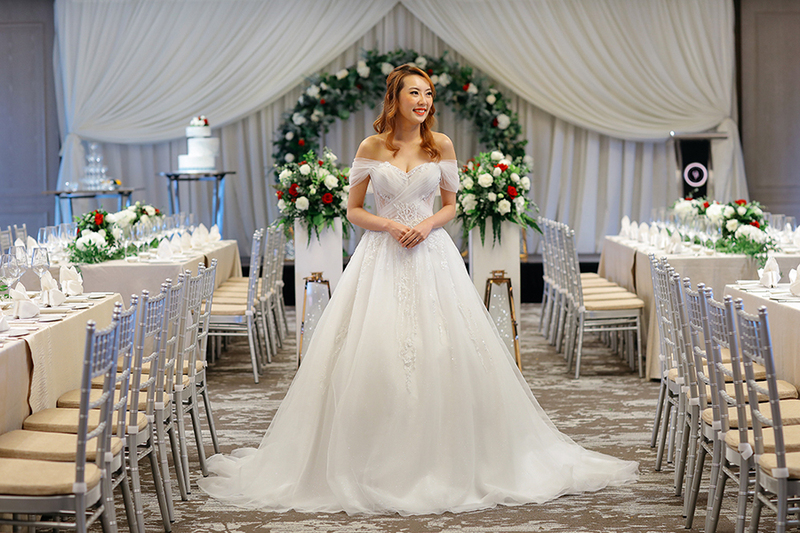 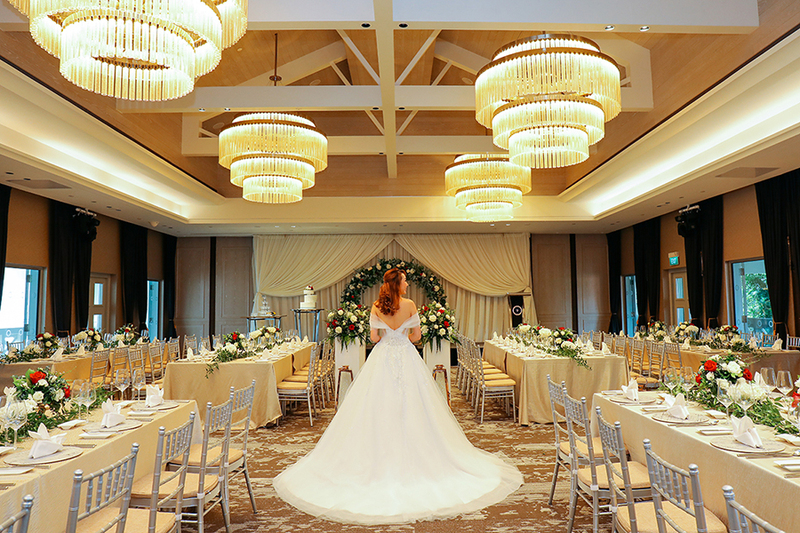 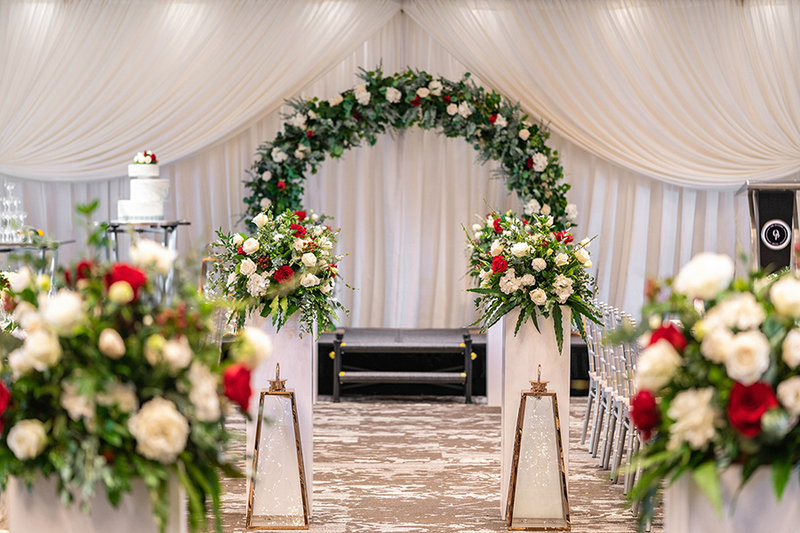 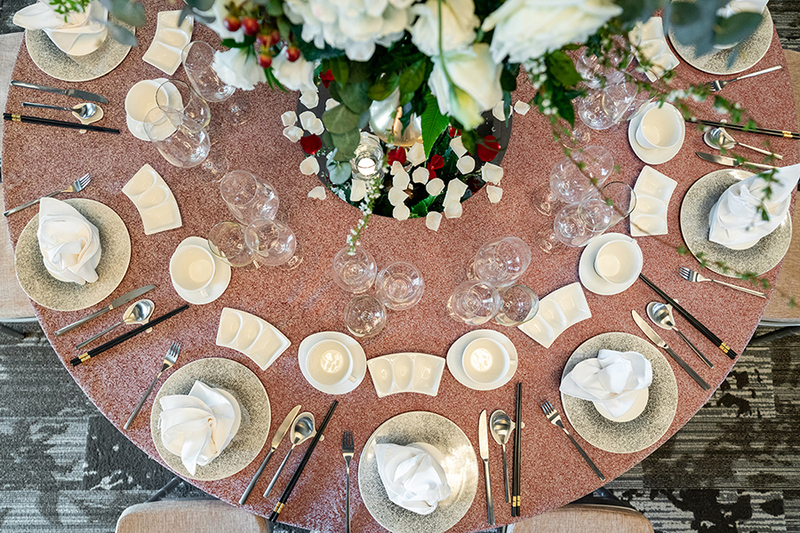 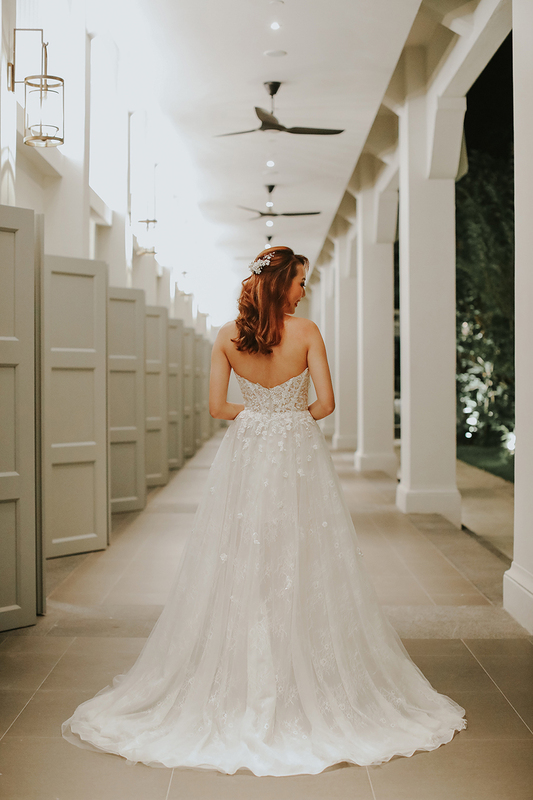 The stately ballroom space boasts grand tiered chandeliers, floor-to-ceiling windows, a soaring ceiling and dark timber beams, a connecting bridal changing room, and caters for up to 160 guests banquet-style. 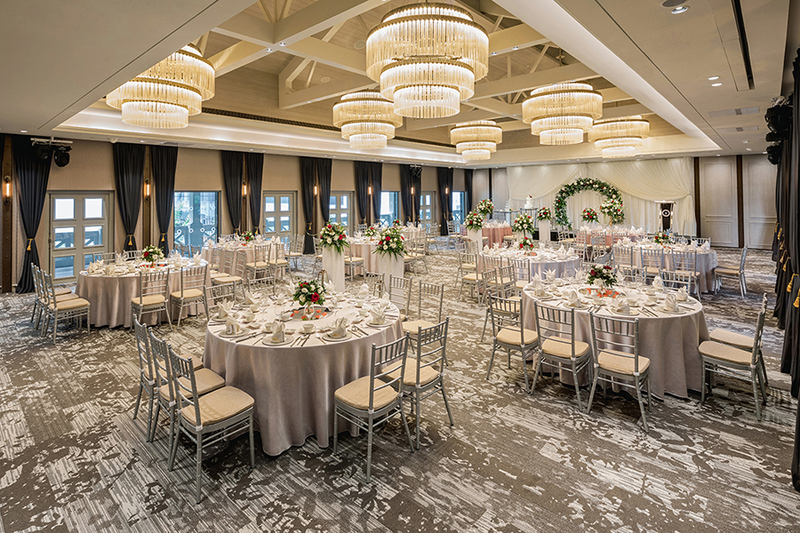 Another ballroom venue to put on your radar is Village Square. 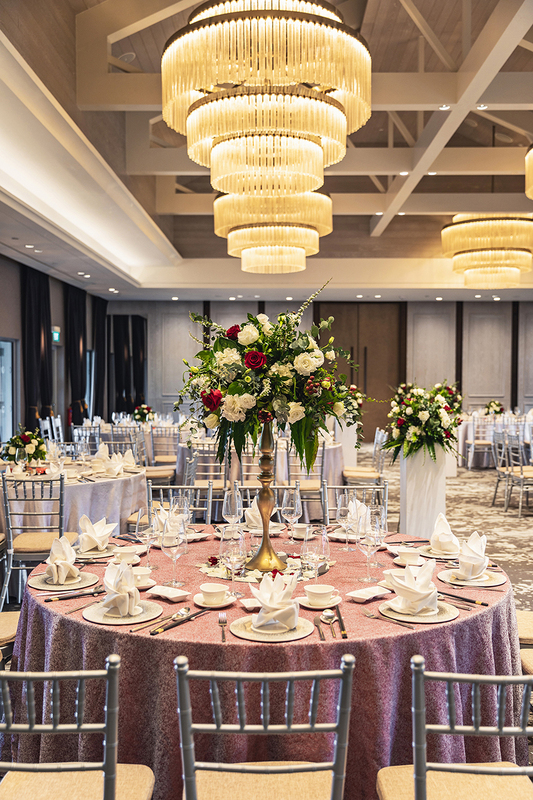 It easily holds up to 170 guests for a wedding banquet, and is more contemporary and modern in its décor approach (think wood panelling and geometric light fixtures). 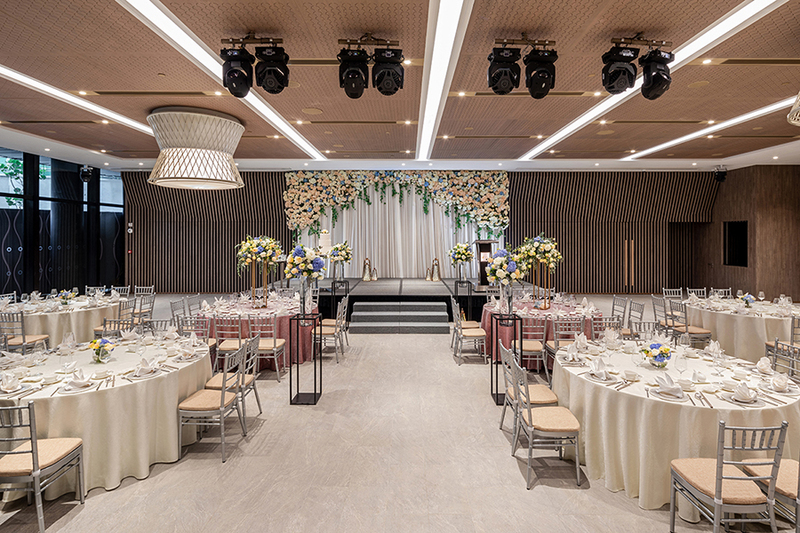 To accommodate larger-scale weddings of up to 320 people for banquet-style seating, Village Square can be combined with Native Kitchen (the hotel’s all-day dining space) and turned into a more spacious event space called The Commune. 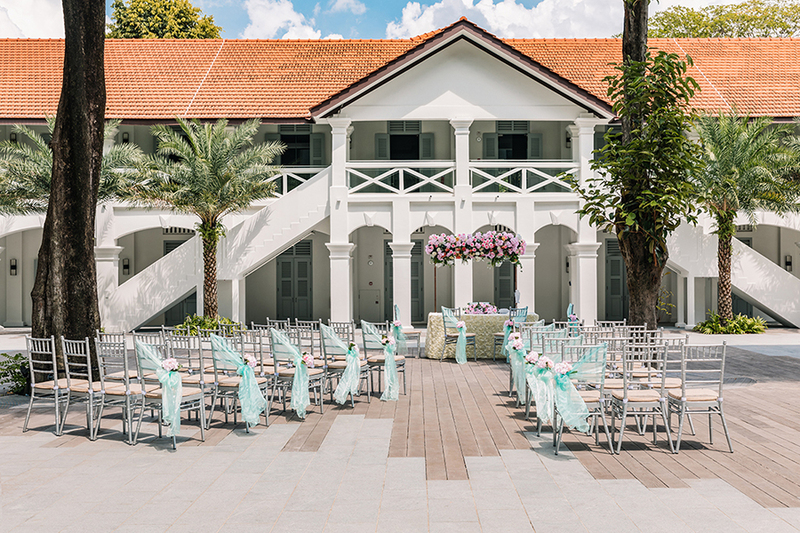 Located right outside Village Square, Heritage Courtyard is one dreamy outdoor solemnisation venue. 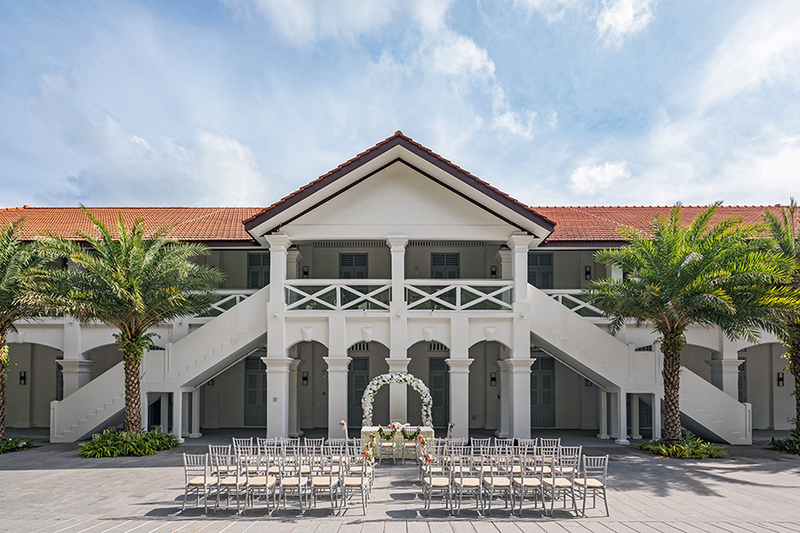 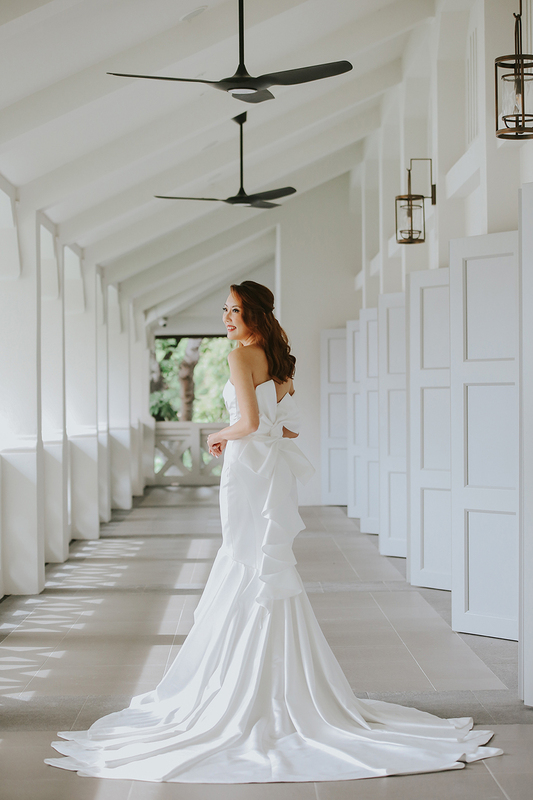 With striking colonial architecture serving as your backdrop, it’s perfect for a cheery, casual daytime ceremony or an elegant evening reception. 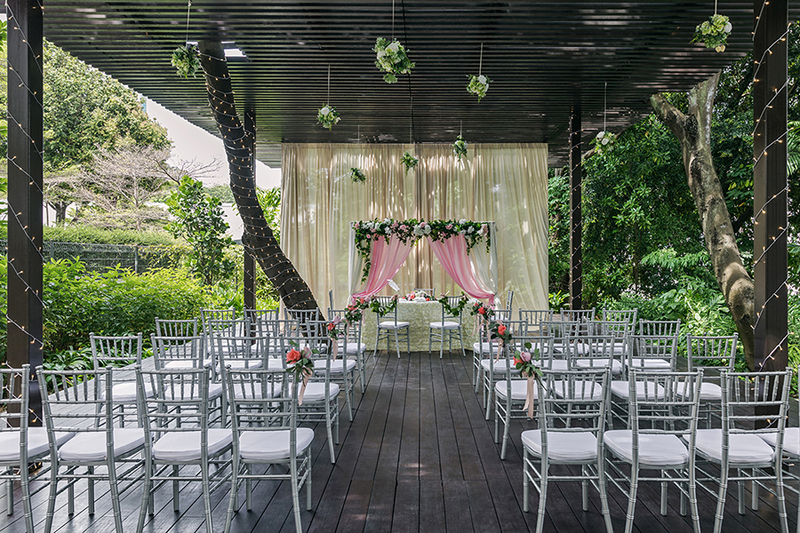 Immerse yourselves and your wedding party in nature at the Outdoor Pavilion. 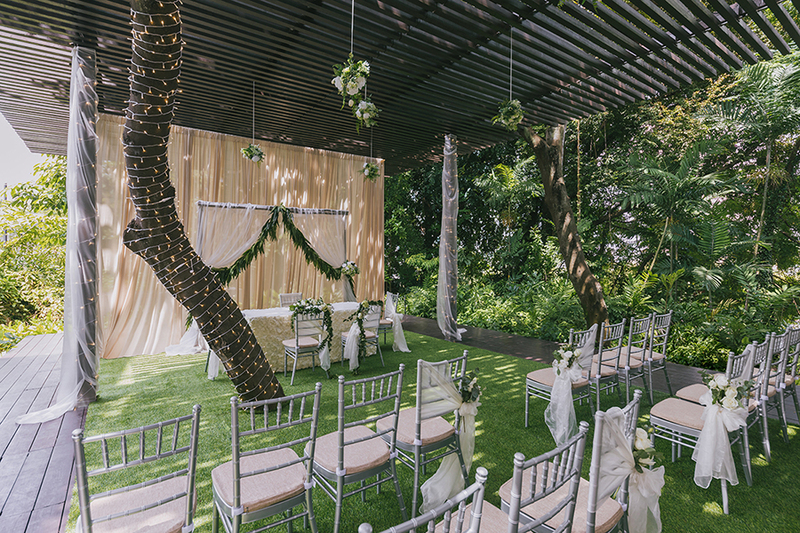 With a capacity of 30 guests, its wood-latticed ceiling and lush, vibrant foliage offer privacy and plenty of sunlight in a garden setting. 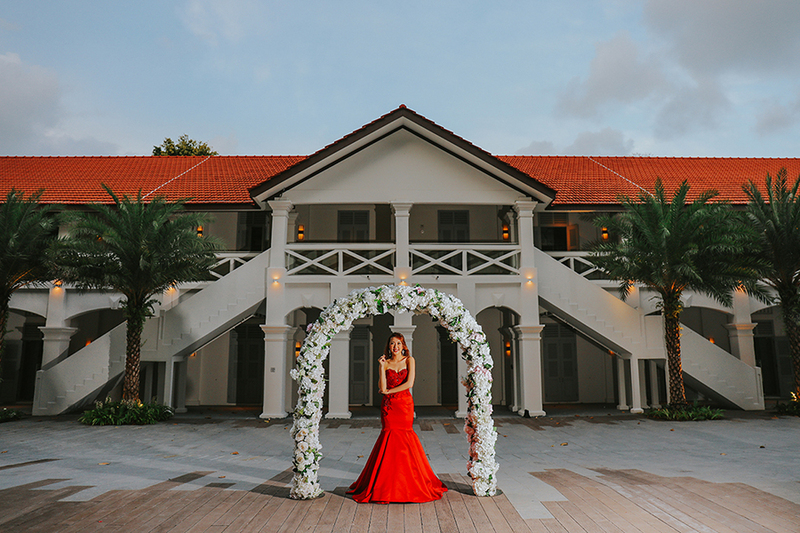 Now that’s tropical living at its best! 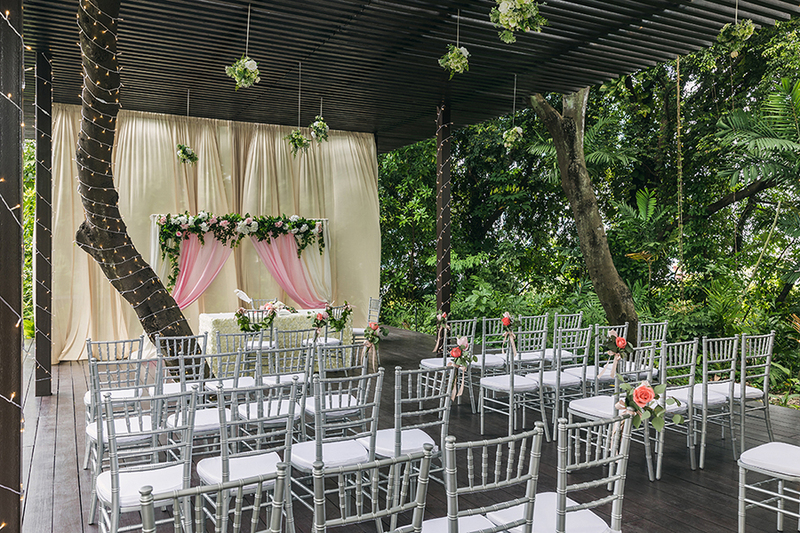 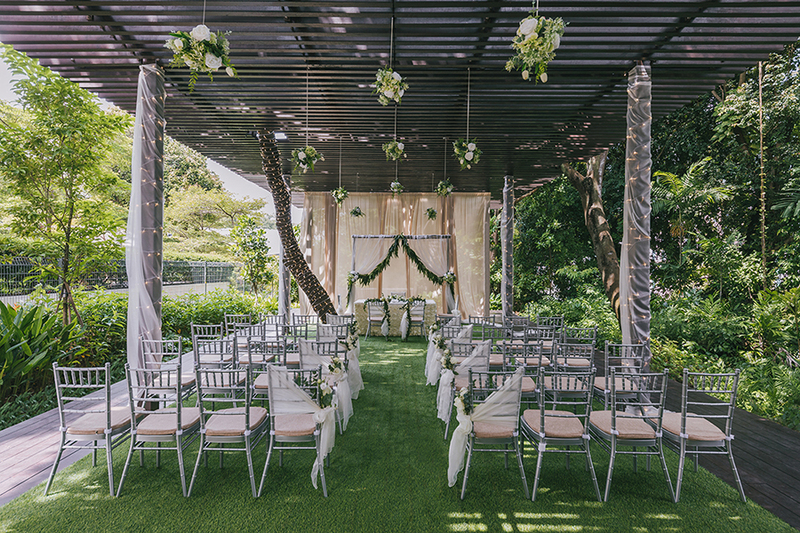 There you have it Wedding Scoopers, we hope these venues have given you an idea of how you can get hitched in style on Sentosa. 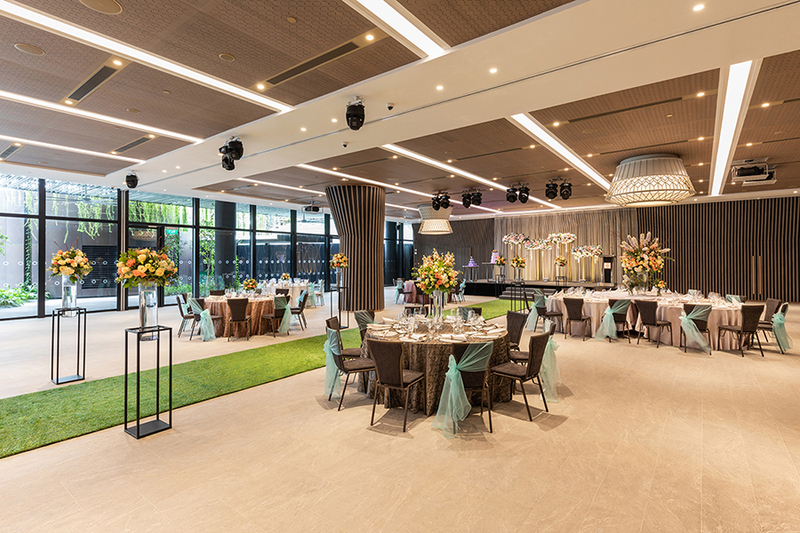 Keen to view these venues at The Outpost Hotel in person? 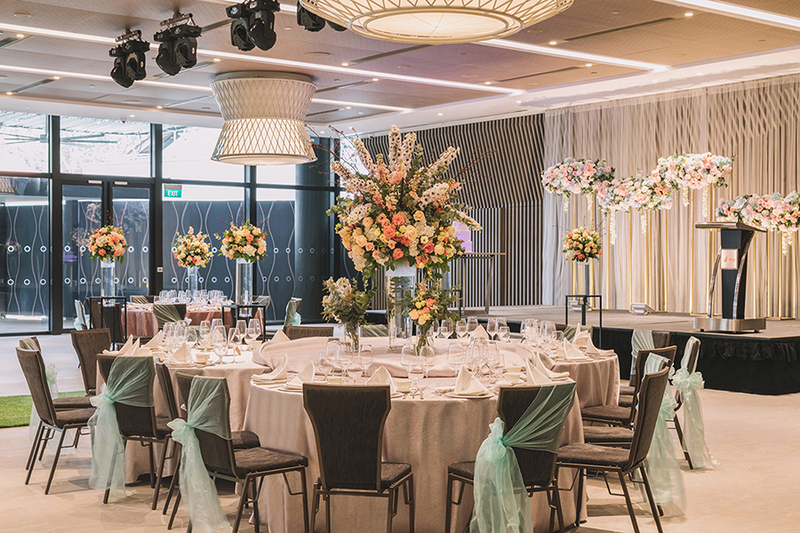 Mark your calendars for a wedding show taking place on 12 May, Sunday, from 2pm to 7pm where they’ll be showcasing all their wedding venues! 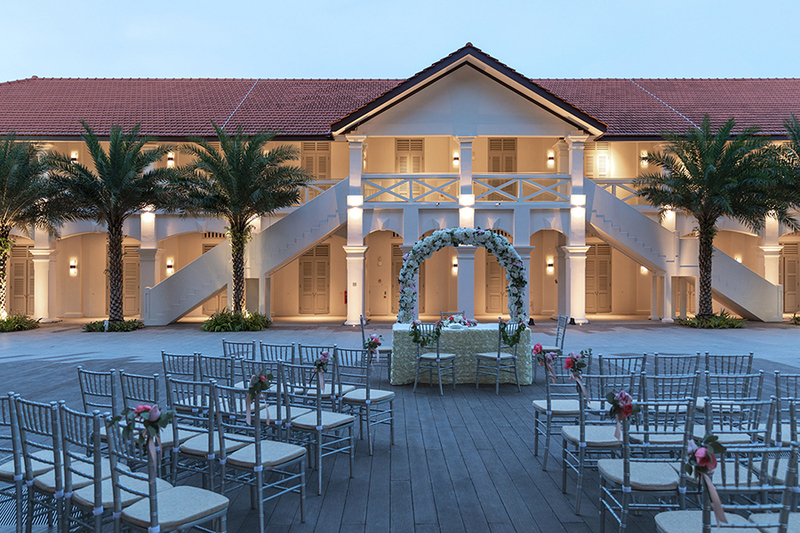 You’ll also be treated to a live band performance and lucky draw, so it’s not to be missed, Wedding Scoopers! 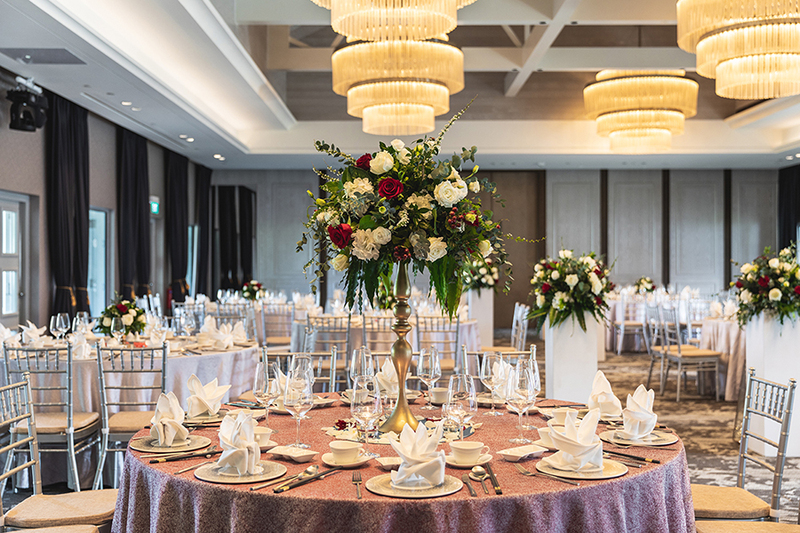 Send in your enquiries now to events.sentosa@fareast.com.sg. 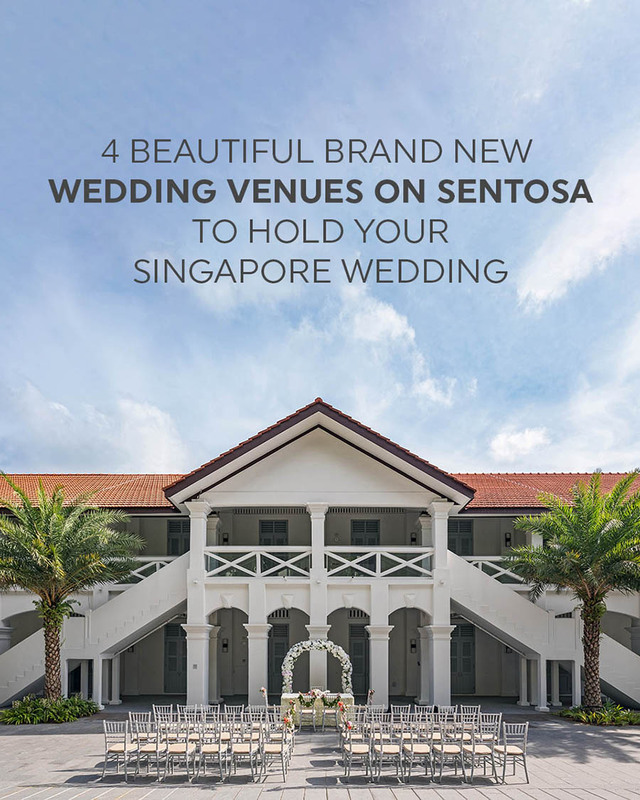 Love these venues? 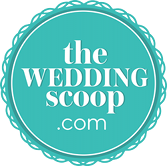 Pin them!